A possibility for OPEC member states to agree on limiting output will be the main intrigue of their upcoming summit on Nov. 30. Russia’s largest private oil company Lukoil will freeze output, if the Organization of the Petroleum Exporting Countries (OPEC) makes such a decision at its Nov. 30 meeting in Vienna and Russia joins it, Lukoil Vice-President Leonid Fedun said on Nov. 8. "Yes, we are ready for cuts, if there is a government directive," the vice-president said. "As far as I understand, the talk is not about cuts but about an [output] freeze. The answer is very simple. New deposits are highly efficient. These deposits have their production cost about two times lower than mature fields in West Siberia. That is why, from the economic logic, everything is very simple: you close down old wells that are characterized by low efficiency and we notionally have 20 percent of wells that yield one percent of our output. And any closure of this well immediately raises economic efficiency for the company. From the viewpoint of the economic logic, there are no complexities and all this is quite simple," the Lukoil vice-president said. At their Algiers meeting on Sept. 29, the OPEC member states agreed to freeze output to stabilize world oil prices. However, participants in the OPEC technical meeting on Oct. 28-29 failed to work out a roadmap for limiting oil output. 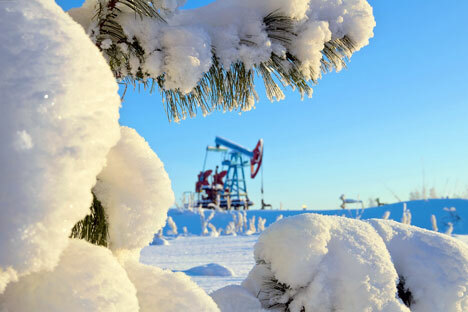 Non-OPEC oil-producing countries present at the meeting, in particular, Brazil and Kazakhstan, stated about the absence of plans to cut oil output in 2017. Russia has not decided either about whether it will cut or freeze output, Russian Energy Minister Alexander Novak said earlier.